Commentary / Keys to survival in the U.S. market – Panama Gateway International Association, Inc.
Panamanian organizations exported $408 million in goods to the United States in 2015. This figure will only increase with Panama’s inauguration of the expansion of the Panama Canal. Panama’s unique geographic location—connecting two continents and two oceans—has long enticed multinational corporations to set-up operations within its borders. Since 2007, Panama has seen a substantial, and consistent, increase in the volume of multinational corporations present in the country following its enactment of Law 41. 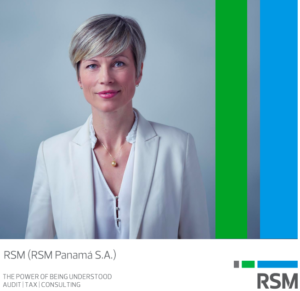 This initiative implemented a broad spectrum of fiscal incentives and regulatory enforcement vehicles designed to bring Panama under a first world umbrella. It has been an effective tool in attracting multinational investment and their relocation of operations in Panama. We believe this trend will continue, and with it, an increase in Panama’s exporting capabilities to the U.S. and beyond. As the world’s largest and most sophisticated economy, the United States presents an attractive marketplace for multinational organizations. Many multinational organizations based in Panama, and those Panamanian businesses with an ever expanding U.S. footprint, have a presence in multiple states within the continental U.S. However, the United States’ unique composition as not one, but fifty separate and independent sovereigns can create holes in insurance coverage that can expose your organizations to millions in liability and, at the very least, cost you hundreds of thousands of dollars to resolve. In short, failing to properly assess your organization’s liability exposure on the front end, will cost you much more in hindsight. Multinational organizations generally structure their insurance programs by: (1) placing unrelated local insurance policies in each country the organization has exposure; (2) using a single master policy obtained in the organization’s home country to cover itself against worldwide exposure; or (3) a combination of both of the above. In an increasingly litigious American marketplace where insurers can, and do, create inconsistent and constrained interpretations of their policies, comprehensive risk evaluation is a game of natural selection in which only the savvy survive. Multinational companies looking to insure against risk in the United States must recognize that the U.S. is not a single market with a homogenous approach to insurance regulation. Indeed, this may be the most crucial insurance-related insight for your company, as understanding (or misunderstanding) the regulatory framework can be the difference between obtaining insurance policies that can actually cover and pay for a claim or policies that are not worth the paper they are printed on. These considerations, and others detailed below, provide the bedrock on which companies can decide how it to ultimately structure their insurance program to cover any – and all – U.S. based exposures. Each of the 50 states in the U.S. requires that insurers be licensed in order to transact insurance business in the state. In other words, in order to sell insurance in a state and insure risk in a state, an insurer generally must be licensed to do business there. However, each of the states also allow local risk to be “exported” to insurers not licensed in the state, but only when certain requirements are met. Where local risk is exported to an insurer not licensed in that state, and the export rules are not satisfied, the insurer may be unable – or unwilling – to adjust and pay a claim in that state. In other words, if your organization chooses to rely on coverage purchased from an insurer in its home country, and the insurer is not licensed in the state where the liability arose or the export rules were not met, the multinational will be without effective coverage. Fortunately, because many U.S. insurers have broad licensing authority across the country, a single policy purchased locally in the U.S. containing appropriate state amendatory language can fix this problem, effectively providing coverage across the U.S. Whether your activities take place in Louisiana, Texas, and Florida, or New York, California, and Colorado, failure to account for the nuances of each jurisdiction will cost you. Lawmakers in one state are not bound by the legislation passed in another. Thus, your company could have liability exposure in one U.S. state for an activity that would produce no liability in another. For example, different states impose different obligations on property owners for the safety of their visitors. For similar reasons, courts in one state are not bound by the decisions of a court in another state. This means that the same policy provisions may, and most likely will, be interpreted differently depending on the location of the coverage triggering event. Failing to properly assess these nuances can mean you are covered in Texas, for example, but not in Louisiana. Finally, the length of time for which your organization may face liability for the same activity may vary across state lines. In Louisiana, for instance, a products liability lawsuit must be filed within one year of the resulting injury, but in neighboring Texas the potential plaintiff has two years to file suit, and in nearby Florida they have four years. A multinational with exposure in all three states must be cognizant of these differences in order to ensure it has sufficient coverage for the longest length of time it may be exposed to liability. While having the proper insurance coverage may not make your company successful in the U.S. market, having the wrong insurance could very well end your efforts. And understanding the risks doing business in a country with fifty different sets of rules goes a long way toward cementing your multi-jurisdictional presence in the United States. Multinational companies operating in the United States should obtain local policies from licensed carriers in the United States, or at least speak with an insurance broker who understands the U.S. insurance market and regulatory framework. The bottom line: performing a front end, comprehensive risk evaluation for your company with a competent professional will save you headaches and dollars. Jacqueline M. Brettner is an attorney licensed to practice in Louisiana and Texas. She practices in the areas of Insurance Law, Commercial Litigation, and Alternative Dispute Resolution. She also serves as General Counsel to Panama Gateway. Eric M. Ferrante is an attorney licensed to practice in Louisiana, New York, and New Jersey. His practice focuses on Insurance Law and Commercial Litigation. NOTE TO MEMBERS: “Commentary” is a regular feature providing members and guests the ability to comment, share their ideas and connect with other members. To submit ideas for a future entry, contact John Wallace, chairman,jwallace@panamagateway.org; executive director, Sandy Champion schampion@panamagateway.org; or Tom Oder, secretary, toder@wwediting.com.